Welcome Bonus: 100% match up to $/€200 on the first deposit, 50% match up to $/€300 on the second deposit, and 100% match up to $/€300 on the third deposit. Tired of waiting for Lady Luck to show up in the brick-and-mortar casinos? You can now play and enjoy an equally exciting experience online at Mobile Wins Casino right from the comfort of your home or anywhere you wish. Allow us tell you more about this exceptional online gaming platform that made its debut in 2012. We hadn’t heard much about it up until last year when a lot of our readers kept asking us about it. This is when we decided to check it out ourselves to see if it’s a right fit for you. Keep it with us for more info about its offerings. Just as the name suggests, Mobile Wins boasts a robust collection of games that are primarily available for mobile play. However, this doesn’t mean you won’t find games to play on your desktop! Our research showed that it boasts quite an impressive pool of this category of games too in its lobby. Before we can expound on what you’ll find on this platform, how about we first share with you some crucial background details about it. For starters, it is operated by ProgressPlay Limited, a Malta-based company which runs a network of popular gaming platforms such as Dream Palace Casino, Vegas-Paradise, Power Slots, Big Fat Slots, and Golden Palace among others. It also holds licenses from the United Kingdom Gambling Commission as well as the Malta Gaming Authority. While their website is visually enticing on mobile devices, the same can’t be said when you access the platform via your PC. However, who has the time to admire interfaces when there are more than 300 top-rated titles waiting to be played and over $/€800 worth of bonuses up for grabs? What is more important is to have a site that is easily navigable both on PCs and portable devices, something Mobile Wins passes with flying colors. Let’s now take a more in-depth view of what Mobile Wins casino offers in terms of bonuses, games, payment methods, and customer support among others. With up to $/€800 right of the bat, Mobile Wins rewards its players with quite a fortune for its welcome bonus package. Newly registered players have the chance to unlock this humongous promo on their first three deposits on the site. For the first deposit, you get a 100% match bonus up to $/€200, 50% match up to $/€300 for the second one, and to wrap up the bonus package is a 100% match up to $/€300 for the third deposit. This is definitely one of the best offer you’ll find around today, right? However, like any other casino, the welcome package by Mobile Wins doesn’t come without a catch – wagering requirements that you have to meet before the money is available to you. We break down these conditions for you below. First, to be eligible for these rewards, you need to deposit a minimum of $/€10 into your account. However, our recommendation is that you deposit as much as possible to take maximum advantage of the match bonus. Secondly, you’ll need to wager up to 50x the bonus amount within 30 days to get access to this money. The 50x sounds a bit steep but considering you have up to 30 days to wager, this is a doable task for a serious gamer. Rewards don’t stop with new players; there are many other promotions run by this casino for the regulars. For example, there’s the Wednesday Wildfire promo that gives you an opportunity to win $/€20 randomly on Wednesdays. This platform also runs another offer known as the Roulette Cashback; roulette players can get a refund of up to 15% of money lost while playing during the week. These and many other seasonal/random promos means you have every reason to succeed here on Mobile Wins. In addition to the promos and bonuses, Mobile Wins also has a VIP program for loyal players and the high rollers. There are five levels here with each featuring distinct rewards, benefits, and promotions. Get a point for every $/€16 spent on this casino; you can then convert these points later to cash. When you have a name like Mobile Wins, it means you’re able to provide one of the best mobile experiences for your players. And which better way to do this than offering a broad range of payment options and in particular those available for mobile users? 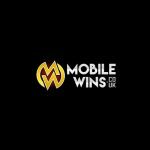 Mobile Wins has done a tremendous job of ensuring that players can transact on its platform with so much ease and convenience. You also don’t have to worry about security or needless delays as most of the payment channels available here offer near instant services. In most cases, funds will reflect in your account instantly upon making a deposit; however, time taken to cash out winnings depends on the payment method you select. E-wallets can take up to 48 hours, credit and debit cards up to 7 days, and bank transfers between 5 and 11 days. Gamers will need to deposit a minimum of $/€10 to start playing, while the maximum amount you can withdraw from your account is capped at $/€6,000 per month. One area that Mobile Wins Casino excels is in its selection of games. As mentioned earlier, you’ll find over 300 titles that comprise fascinating slots, table, and card games. There’s also a live casino and an e-sports betting lobby, so remember to check that out too. What impressed us the most though is that the casino has partnered with some of the world’s most reputable software providers to supply it with games. Notable names we spotted here include Microgaming, NextGen Gaming, NetEnt, Rabcat, Elk Studios, Quickspin, and Thunderkick. Like most instant-play casinos today, slots takes up the biggest share of Mobile Wins’ games portfolio. Some of the top games you can check out here include Foxin’ Wins Slot, Thunderstruck 2 Slot, Game of Thrones and Starburst among others. You’ll also find exciting card and table games here as well. Finally, don’t forget to check out the live casino section for thrillers such as Roulette, Baccarat, and Blackjack among others. All the games we played here had impressive sound and graphic quality. 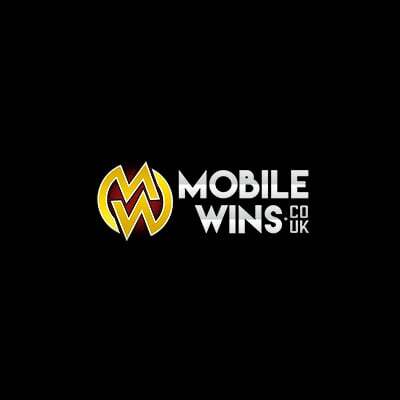 The name itself says it all; Mobile Wins is the go-to place if you want to immerse yourself into some entertaining mobile play. With a website that uses the latest HTML5 technology, all your favorite games will run smoothly on this platform. Whether your portable device runs on IOS, Android or Windows operating system, this site is compatible with all of them. Additionally, you don’t need to download any apps as the games will open automatically on your device’s browser. Nothing excites online gamers than being sure they can sleep without worrying about the security of their data and finances. As a platform that is operated by the fairly experienced ProgressPlay Limited, Mobile Wins has done well to guarantee safety and fairness. To begin, the platform is regulated and monitored by the Malta Gaming Authority and the United Kingdom Gambling Commission. These two are easily the most trusted regulatory bodies tasked with the responsibility of ensuring online casinos protect their players’ personal data and even money. Besides, Mobile Wins also uses the latest SSL encryptions and cutting-edge firewall technology to ensure that sensitive and private information is transmitted securely online. Its partnership with industry-renowned payment gateways is also another win in ensuring that all transactions carried out here are safe and secure. Finally, we were impressed to find out that this casino has dedicated a full page on its website to educate players on responsible gambling while also providing help for gaming addiction. It also employs strict policies to help fight the vice of underage gambling. Like all other online platforms, players on this casino are bound to face various difficulties and hitches while trying to navigate or play here. Naturally, you’ll want to deal with a casino that gives a listening ear whenever you’re faced with such challenges. So, how does Mobile Wins fare on this front? Based on our findings, we think this casino has an excellent customer support system that is ready and eager to deal with any issues or problems posed to them. Its live chat service is particularly outstanding for quick responses. Here, you will get answers in minutes of contacting the support team. If your problem isn’t entirely solved, you can fill out the form on the website and send it to the email provided. Although this method is a bit slower (usually takes about 24 hours for you to get a response), it allows you to highlight your issues in details which is useful if your issue is a technical or complicated. Finally, there’s an extensive FAQs page that explains some of the standard issues including registration, withdrawals, deposits, and verification among others. Perhaps what we’d now like to see Mobile Wins introduce is a direct call line for players with urgent matters or just want faster responses. To this end, we have no doubt that Mobile Wins Casino excels with distinction in what it wanted to deliver – unmatched mobile casino experience. With most of its games available for portable devices, you can bet that you won’t get better mobile gaming experiences in many other places. Add the minimalist design, reliable payment options, and outstanding bonuses and promos into the mix, and you’ll agree with us that the experience on this platform is totally worth it. However, if you are more of a desktop player, this casino will be more suited for passing time and not necessarily for professional gaming. Try your luck here and remember to claim your $/€800 welcome bonus upon registration.